We're calling it: These under-the-radar beauty brands are about to be everywhere. 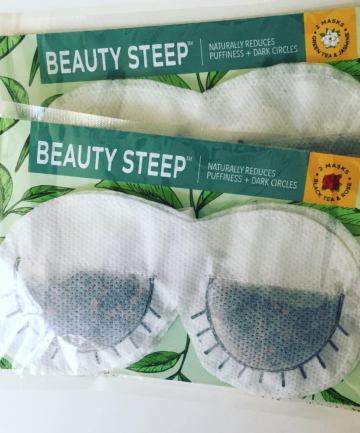 Beauty Steep Take your masking routine to the next level with these tea-infused eye masks, $12. "Black and green tea eye masks help reduce the appearance of dark circles, puffiness and [provide] overall eye rejuvenation," says Wright. "These masks are the perfect addition to a Sunday self-care ritual but easy enough to even be used during a long plane flight."